Nordfab's Static Dissipative Hose provides great abrasion resistance and high tear strength as well as superior chemical resistance, excellent flexibility, and tolerance for applications with wide temperature ranges (-65° F to 225° F). 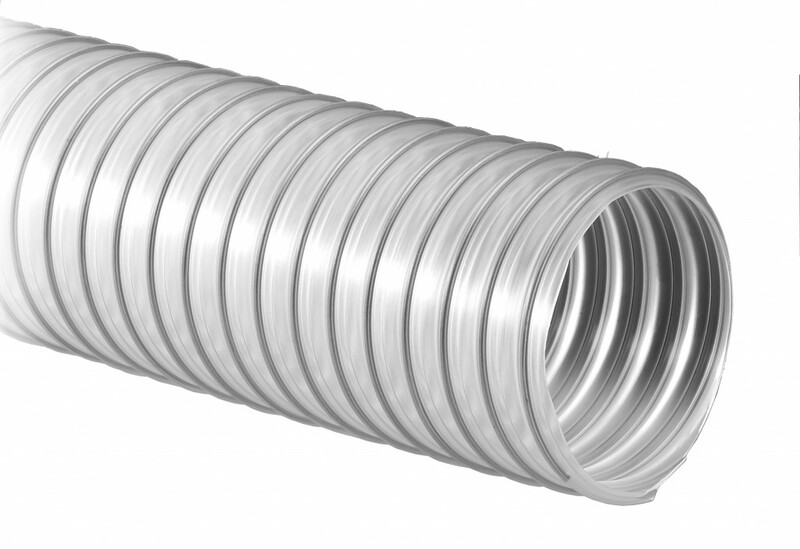 Static Dissipative hoses are constructed of FDA acceptable materials to develop a medium weight clear static dissipative polyurethane reinforced with a bronze coated spring steel wire helix. Must be sold in 5' lengths. Bridge hose clamps or hose clamps available for attaching hose to duct fittings or machines.